First you will need to print out the template. Once you have it printed, cut it out. 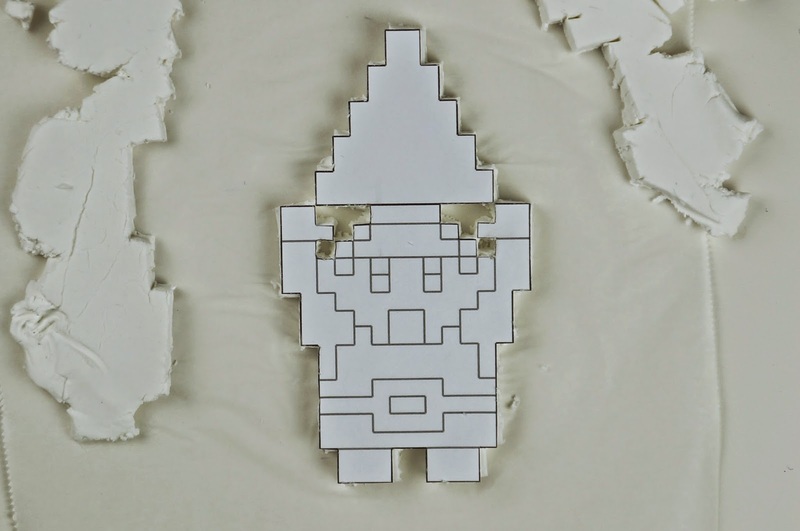 Make sure to also cut out the open parts at the bottom of the Triforce piece and around Link's head/arms. 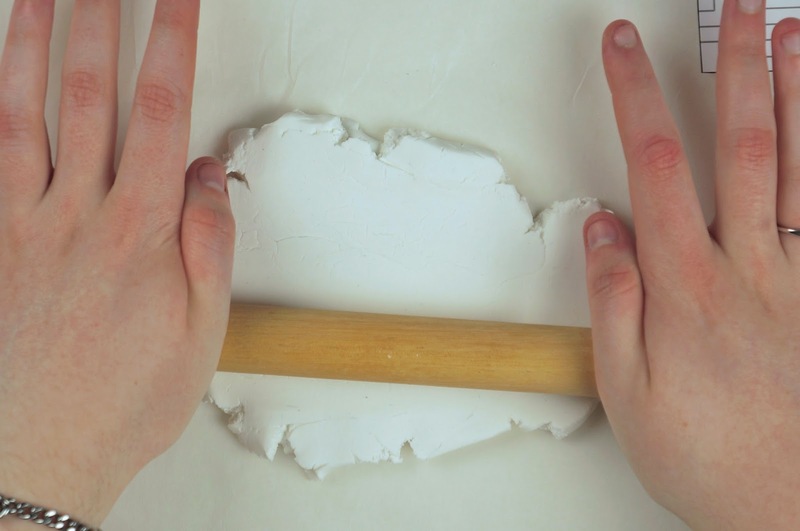 Roll out some of your sculpting medium onto some parchment paper (this will stop it from sticking to surfaces while drying). Flatten it evenly about 1/4" thick. Place your cut out template onto your rolled out sculpting medium (make sure it fits on so there are no parts hanging off the edge). 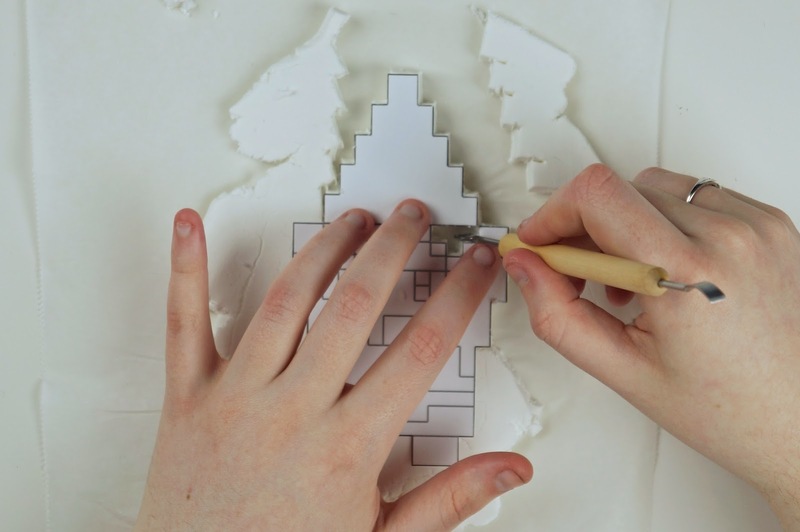 Using a sharp sculpting tool, cut your sculpting medium around the template, removing the excess clay. 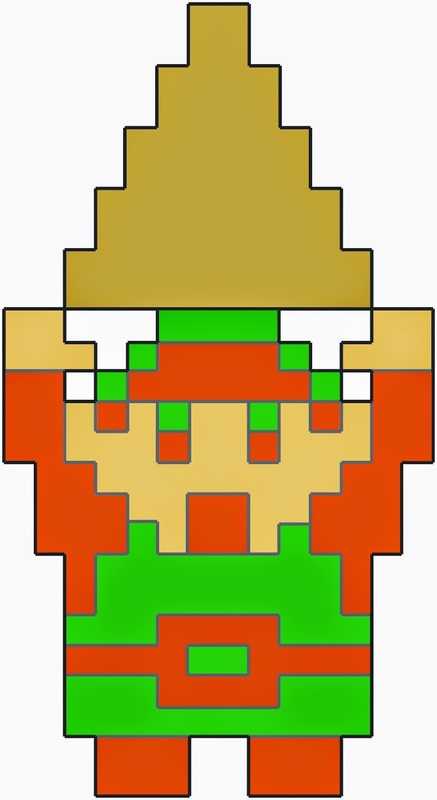 Make sure to also cut out the parts around Link's head. 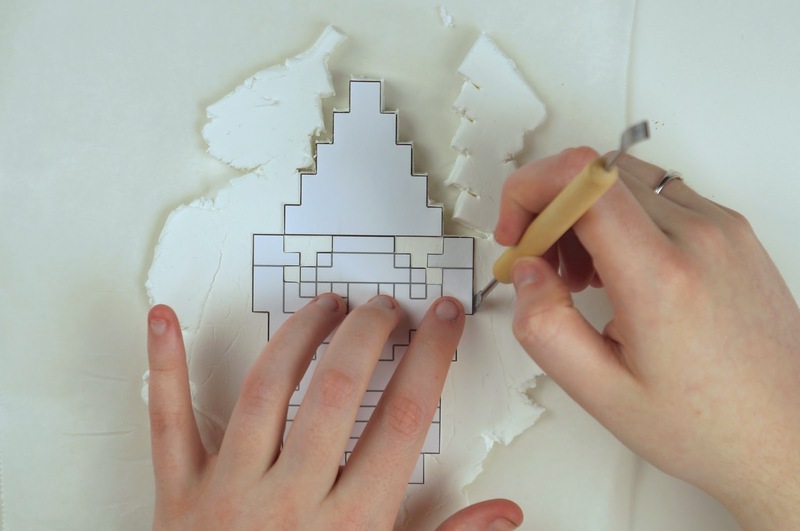 Remove the template from the cut out sculpting medium. 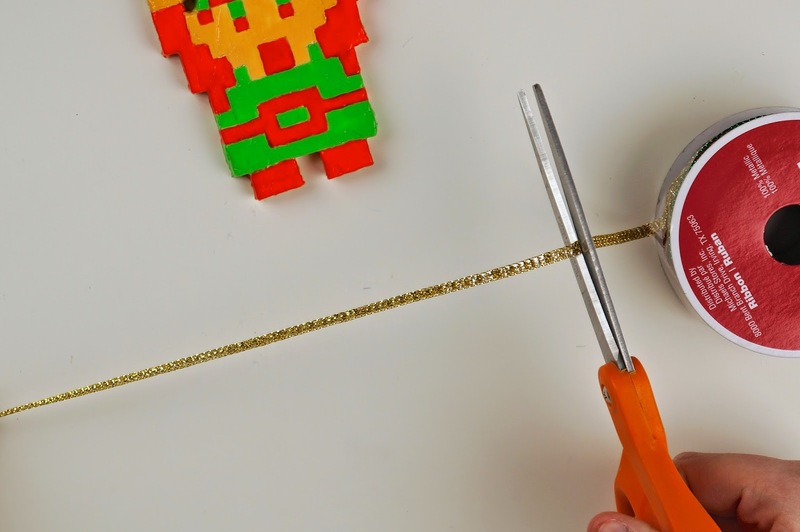 Poke/cut a hole into the upper part of the Triforce piece for hanging later. Let your sculpting medium completely dry/harden following manufactures instructions before moving on. 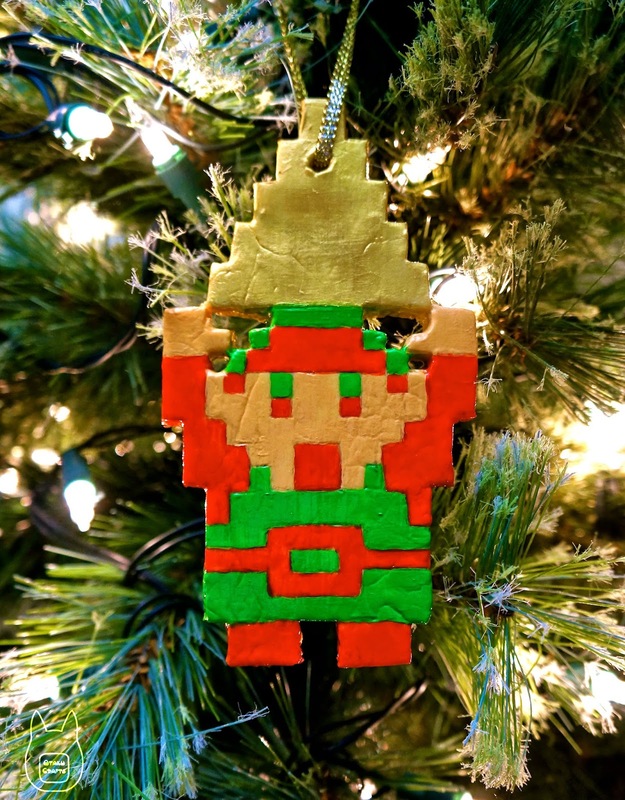 Cut out the 8 bit design parts of the template and trace them onto the ornament. 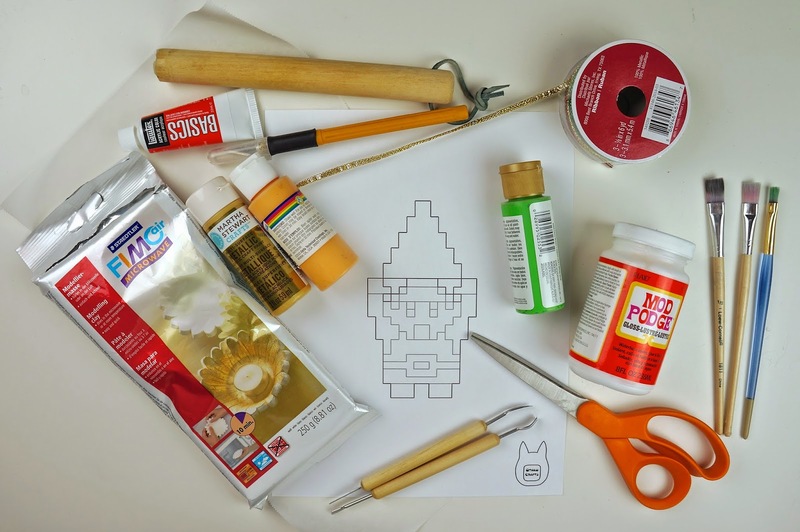 Paint your ornament using the colour guide above as reference. You might need to do multiple coats of paint. Make sure to also paint the sides and back of the ornament (they can be a solid colour of your choice). Let the paint dry before moving on. If you want you can now paint/spray your ornament in your choice of finishing coat. Let the coat completely dry before moving on. Cut a length of your ribbon, thread it through the hole in the Triforce piece and tie the ends together with an overhand knot. 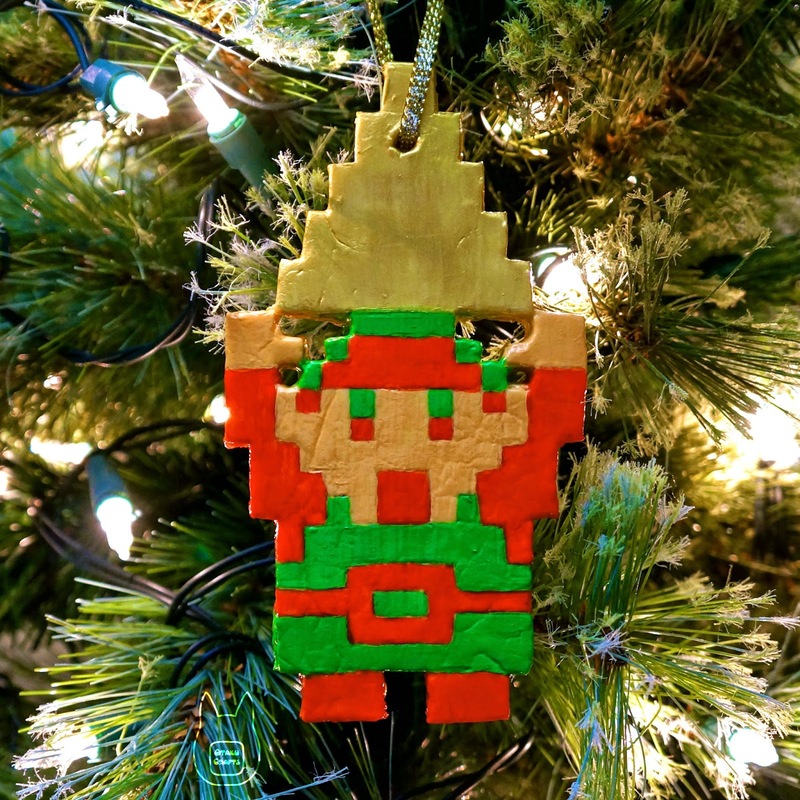 Now you have your finished 8-bit Link ornament!